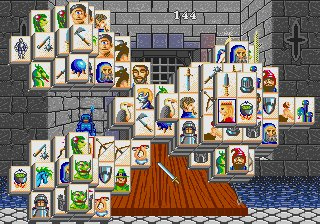 A history lesson in the failure of PC-to-console ports. 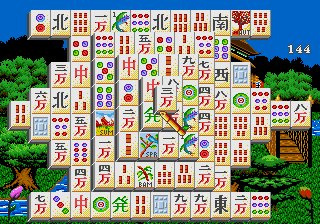 Activision was the first to sell a mahjong solitaire (for lack of a better term) game for IBM PCs and Apple Macs in 1986 under the name Shanghai. 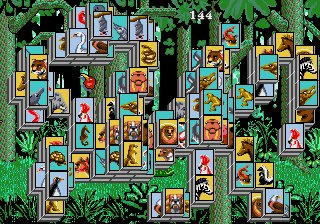 They even got the programmer of the original game -- which was created on University of Illinois mainframes -- to do the programming and create backgrounds. That release was a big enough hit that a.. 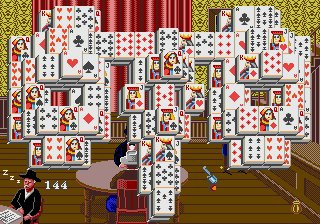 The ancient pastime of mahjong solitaire is reinvented as an interactive video game where each tile you remove may be your last. Discover enchanting music, fun animation and exciting obstacles that are built in to this intriguing board game that will keep you engaged for hours. 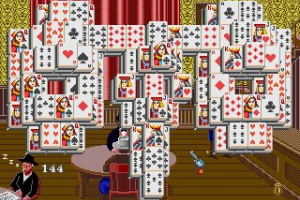 This classic title challenges you to clear the board by removing matching pairs of tiles. Play the traditional Shanghai® II or take the game to a new dimension with Dragon's Eye. Don't let the simple rules deceive you - the depth and intricacy of this challenge will become your new obsession very soon. I fail to see the logic in releasing a Shanghai game on the VC, rather than making a Wiimote-compatible Wiiware game. I'd buy it, I'm itching for a Shanghai game other than what I have on Clubhouse Games. I would definately buy this as well. Come on Activision, make it happen! Oh! I knew that this would be released sooner or later! I like me some Mahjong! 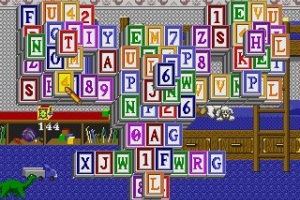 @ Adamant, Are you on the Gamefaqs , too? 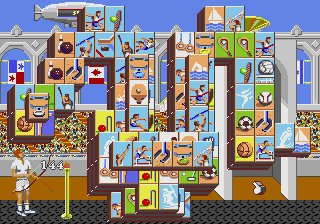 Saw this is being released soon and no one seems very interested in this, which is a shame as this is a really good puzzle game. 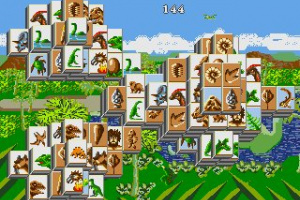 I can't remember this being originally available on the Megadrive,in UK (I've only played it on an emulator). The Dragon's Eye variant is super addctive. 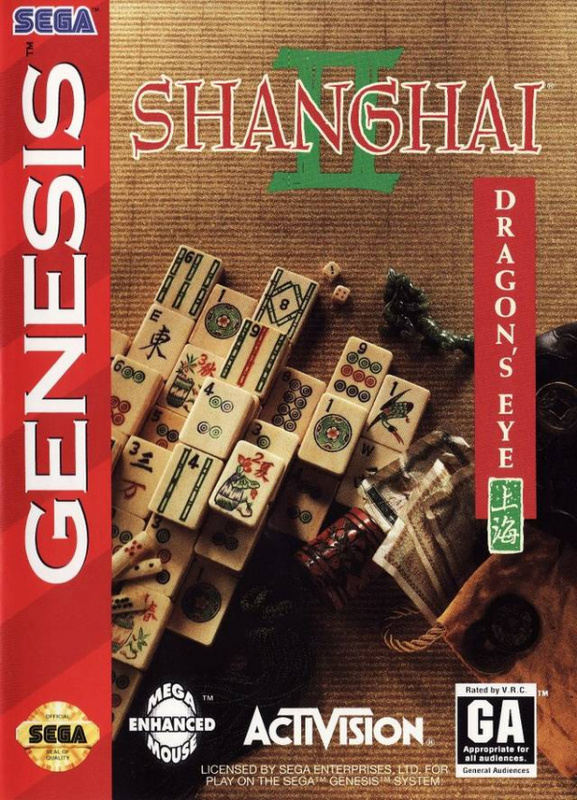 For anyone who hasn't seen it before its uses the same basic rules as the normal tile matching Shanghai (which is also included), but changes it into a turn based battle against the Dragon, with the Dragon trying to bury the player, and the player trying to kill the dragon (i.e. clear the board). I've not seen a Dragon's eye variant on other Shanghai games that I've played such as 42 All time classics (aka Clubhouse games), Mahjong and Mahjong Quest (all DS) and it feels different enough to the normal mode to warrant a purchase, even if you already have a version of Shanghai. 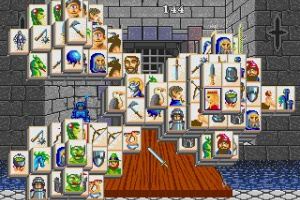 |sf>@Davva, I agree with you completely, because I used to play both the SNES and Genesis versions of this game. The only 'unfortunate' aspect of this game's release was that the Genesis version's graphics are slightly inferior to the SNES version. 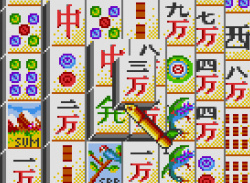 However, Shanghai II: Dragon's Eye has 11 different tile sets (including fantasy, flags of the world, sports, animals, vegetables, and road signs) with sound effects and tile animation, 13 different tile layouts (the traditional "Shanghai" formation, plus one for each sign of the Chinese Zodiac, which covers three difficulty levels). In addition to all that, there's also the memorable "Dragon's Eye" version where one player (the 'dragon master') hides the tiles on the formation, while the other player plays as the 'dragon slayer' to try matching all the tiles that player one hid. 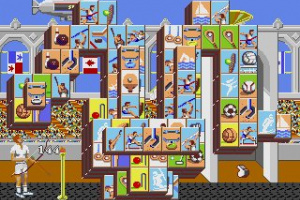 By comparison, Clubhouse Games has only one tile set (without animations or special sound effects) and 10 tile formations. 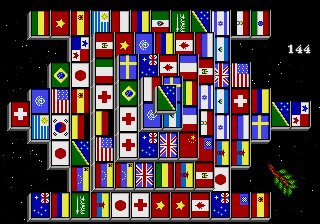 This is one of my all-time favorite (non-RPG) SNES games and I've been waiting for it to hit the US Virtual Console. Europe is once again lucky with a solid release, but most people aren't informed as to content of 'import' games. 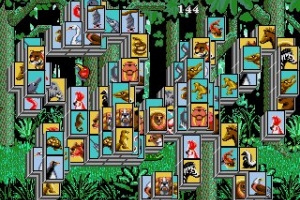 Please let this poor excuse of a game come out tommorow to get rid of that shovelware before Christmas. I've played this quite a bit back in the day (SNES version) it was pretty good, might have to get this one.